Join us as we discuss Ordinary Grace by William Kent Krueger. Discussions are led by librarians from the Kanawha County Public Library - Main. Meetings are held in the VIP/Community Room at Panera Bread in the Charleston Town Center Mall (first floor, Sears/Macy's end) from 11:30 AM ET - 12:30 PM ET. discussing Ordinary Grace by William Kent Krueger. William Kent Krueger's book USA Noir was available from LibraryThing Early Reviewers. William Kent Krueger's book Twin Cities Noir: The Expanded Edition was available from LibraryThing Early Reviewers. 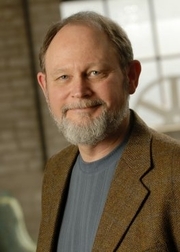 William Kent Krueger is currently considered a "single author." If one or more works are by a distinct, homonymous authors, go ahead and split the author. William Kent Krueger is composed of 11 names. You can examine and separate out names.